Live Forex news from all over the world. Subscribe to get daily updates directly to your email inbox. The Australian dollar gained against most of its major rivals today thanks to the better-than-expected macroeconomic reports released in China, Australia’s biggest trading partner. Data in Australia itself was somewhat mixed, but none of the reports released today was outright negative. China’s official manufacturing Purchasing Managers’ Index edged up from 49.4 in December to 49.5 in January, whereas analysts had expected it to fall to 49.3. Still, being below the neutral 50.0 level, the index showed the second consecutive month of contraction after China’s manufacturing declined last month for the first time since 2016. Non-manufacturing PMI climbed from 53.8 to 54.7, while economists had predicted the index to stay about unchanged. Being above the 50.0 level, the index indicated accelerating growth of the services sector. As for Australia’s economic data, the Australian Bureau of Statistics reported that import prices rose 0.5% in the December quarter from the previous three months. The consensus forecast had promised a slower growth by 0.3%. Export prices climbed 4.4%. 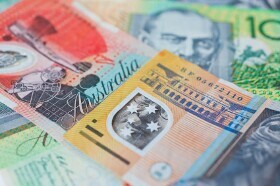 The Reserve Bank of Australia reported that total private sector credit rose 0.2% in December from the previous month. Experts were expecting the same 0.3% rate of growth as in November. AUD/USD advanced from 0.7247 to 0.7276 as of 11:22 GMT today. EUR/AUD declined from 1.5835 to 1.5781. AUD/CHF rose from 0.7202 to 0.7224. If you have any questions, comments, or opinions regarding the Australian Dollar, feel free to post them using the commentary form below.